Drought planning for small community water systems. The provision of adequate and secure supplies of clean water at reasonable cost is a cornerstone of social and economic development and national security. Major droughts have occurred in the past and will occur again in the future. Such droughts have two major impacts on small community water systems: water supply is reduced (surface waters and shallow groundwater) and water demand increases. The combination of these impacts can result in major stresses on the ability of water systems to meet demand. Many Western states have experienced widespread and severe economic and environmental impacts of 'worst-case' droughts in recent years, and have recognized from these experiences the importance of improved water-supply planning and management, including drought preparedness. However, it is probable that many system managers in the Midwest Technology Assistance Center (MTAC) region have not evaluated their capability to meet water demand during major droughts, nor have in place adequate plans to deal with such emergencies. 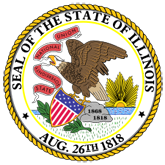 The MTAC region incorporates the 10 states of Illinois, Indiana, Iowa, Kansas, Michigan, Minnesota, Missouri, Nebraska, Ohio, and Wisconsin. 1. Drought planning for small community water systems. (20061005195946_ISWSCR2006-01.pdf).